It’s beautiful and humans have been using it for thousands of years. It also has amazing properties that make it very important in our daily lives today. 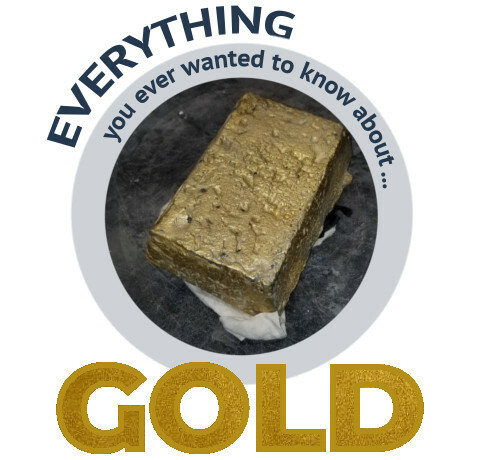 Here is everything you ever wanted to know about ... GOLD! Gold is heavy - it weighs over nineteen times more than water. Gold is quite soft. It is slightly harder than a fingernail but not as hard as a coin or glass. Gold, like most metals, can be hammered into thin sheets or drawn out into thin wires. This has made gold sought after for a wide range of applications, like jewellery and in electronics. For example, gold is so soft and malleable that 1 gram of it can be pounded out to 1 square meter. 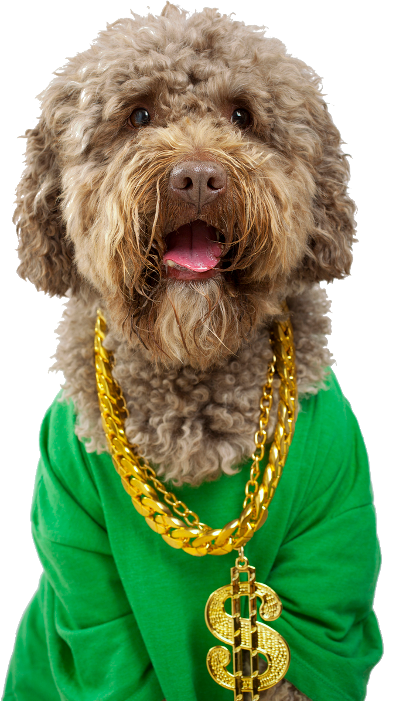 An ounce of gold can be turned into wire 80 kilometres long. Gold has been mined for about 6000 years. An estimated 190,000 tonnes of gold has been mined, about two-thirds of it since the 1950s. Since gold is virtually indestructible, almost all mined gold is still around in one form or another. That means if someone has a gold watch, some of the gold in that watch could have been mined thousands of years ago. Each year, global gold mining adds approximately 2,500-3,000 tonnes to the overall above-ground stock of gold. The world’s oceans are estimated to hold up to 15,000 tonnes of gold but it is not yet feasible to extract gold from seawater. King Tut’s coffin was made from 1.5 tonnes of gold. The first gold coins were minted in about 550 BC under King Croesus of Lydia - a province in modern-day Turkey - and quickly became accepted payment for merchants and mercenary soldiers around the Mediterranean. The US Geological Survey estimates there are 52,000 tonnes of minable gold still in the ground and more is likely to be discovered. Gold is so rare that the world produces nearly as much steel in an hour as the total amount of gold mined throughout history. 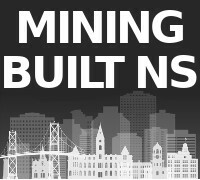 Over one million ounces of gold have been mined in Nova Scotia since gold was first discovered here in 1858. At today's prices, that much gold is worth almost two billion dollars! Gold has too many uses to talk about them all but here are some examples. Because of its superior electrical conductivity and resistance to corrosion, gold has become an essential industrial metal. Gold performs critical functions in computers, communications equipment, spacecraft and a host of other products. Because gold conducts electricity and does not rust or tarnish, it is very important in electronics such as the circuitry of cell phones. There is a small amount of gold in every cell phone - an average of .001199 troy ounces - which is worth about a dollar or two. 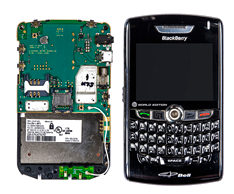 The circuit board is where the gold is usually used. Gold conducts electricity better than copper, and does not tarnish like silver, so gold is essential to making your phone so fast and powerful. 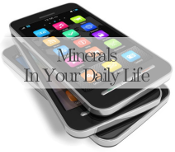 Smartphone handsets also contain other metals, such as copper, platinum, silver and tungsten. Metals comprise about 40% of a phone. Gold is used as a drug to treat a number of medical conditions, such as rheumatoid arthritis. Particles of a radioactive gold isotope are implanted in tissues to serve as a radiation source in the treatment of certain cancers. Radioactive gold is also used in diagnosis. It is injected and tracked as a beta emitter as it passes through the body. In dentistry, gold alloys are used for fillings, crowns, bridges, and orthodontic appliances. Gold is used in dentistry because it is chemically inert, nonallergenic, and easy for the dentist to work. Many surgical instruments, electronic equipment, and life-support devices are made using small amounts of gold. Gold is nonreactive in the instruments and is highly reliable in the electronic equipment and life-support devices, so it is, for example, an ideal coating for instruments such as pacemakers and heart stents. Gold also possesses a high degree of resistance to bacterial colonisation so it is the material of choice for implants that are at risk of infection, such as the inner ear. Lubrication, maintenance and repair of vehicles and equipment in space is pretty much impossible, so gold is used in hundreds of ways in space to make sure equipment will work and keep astronauts safe. As with other electronics, gold is used in circuitry because it is a dependable conductor and connector. Many parts of every space vehicle, including satellites and spacecraft, are fitted with gold-coated polyester film. This film reflects infrared radiation and helps stabilize the temperature of the spacecraft. Without this coating, dark colored parts of the spacecraft would absorb significant amounts of heat. A thin layer of gold is also used on astronaut helmets to protect from solar radiation. Gold is also used as a lubricant between mechanical parts. In the vacuum of space, organic lubricants would evaporate and be broken down by the intense radiation beyond Earth's atmosphere. A thin film of gold between critical moving parts serves as a lubricant - the gold molecules slip past one another under the forces of friction and that provides a lubricant action. All the gold found on Earth today formed billions of years ago in the centre of an ancient star. Stars, like our sun, are extremely hot. Once the ancient star over-heated, it collapsed into itself and then blew up. 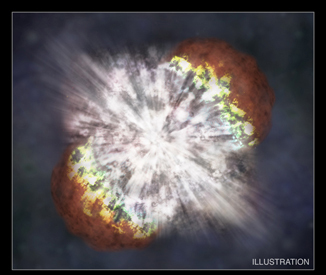 Collapsing stars are known as "supernovas". Gold formed during the collapse of an ancient supernova and gathered in clouds in outer space. Eventually, the clouds condensed, forming planet Earth. Gold is found on every continent on Earth, except Antarctica. The largest amounts of gold on Earth are found in the oceans - but it is not yet feasible to extract gold from seawater. How did Gold Get to Nova Scotia? Nova Scotia has not always looked the way it does today. The province is made up of at least three different continents that came together as a result of tectonic plate movement in our geological past. 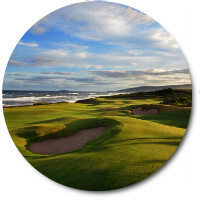 The collision of the plates happened at different times, and each plate collision had a very significant effect on the landscape and geology of Nova Scotia. Plate collisions are responsible for gold being deposited in Nova Scotia. 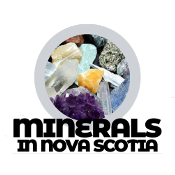 Ron Blakey and Colorado Plateau Geosystems Inc.
All of the gold in Nova Scotia was originally deposited in the deep ocean basins off the coast of North Africa about 500 million years ago. 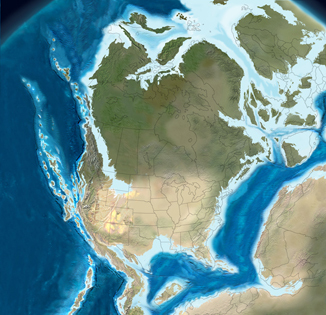 The collision between North America and North Africa 385 million years ago caused the rocks to squeeze and fold. Spaces were created between the folds in the rocks, allowing fluids rich in gold to flow through. Almost all of the gold in present day Nova Scotia is now found in these folds in the rocks. 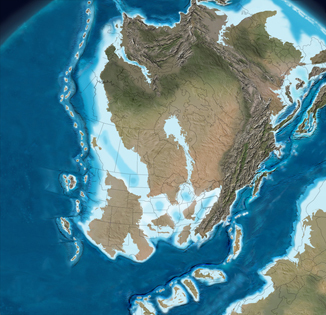 Most of northern Nova Scotia was covered by a shallow, warm tropical sea, while southern Nova Scotia rose out of the ocean and began to erode. The Appalachian Mountains were forming at this time. 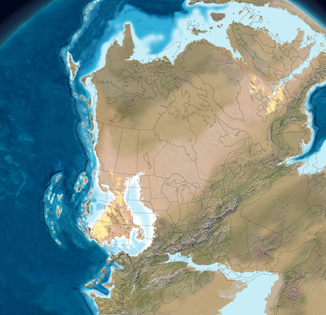 All of the continents on Earth had collided and formed one giant supercontinent called Pangaea. Vast coal swamps formed on the equator, including over Nova Scotia. 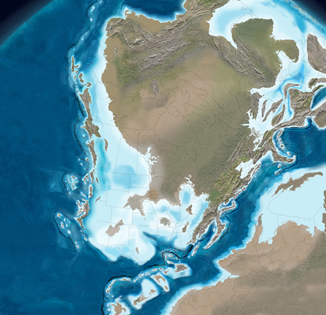 The supercontinent Pangaea began to break apart and the Atlantic Ocean began to form. Nova Scotia was partially covered by the ocean. 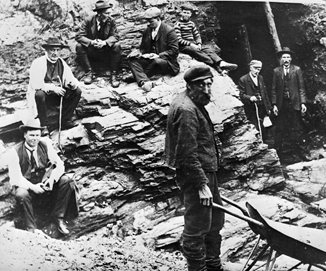 Gold mining has been an “on again, off again” part of Nova Scotia’s economic and social life for 150 years. People are often surprised that over a million ounces of gold have been produced in the province since mining began in the 1860s. The first documented gold discovery was in Mooseland, on the province’s eastern shore, in 1858. It was discovered by Captain L’Estrange, a British army officer, while moose hunting with Mi'kmaq guides Joe Paul, Noel Louis, and Frank Cope. 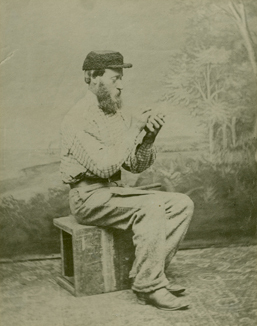 John Gerrish Pulsifer, the person who sparked Nova Scotia’s first gold rush. Photo by W. Case. NSA: N-15. 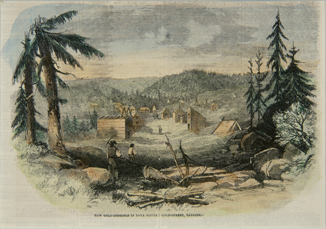 New Gold-diggings in Nova Scotia: Gold-Street, Tangier, published in the Illustrated London News, September 14, 1861. Gold miner and others outside an adit in the Waverley Gold District. NSDNR Index of Historical Mining Photography, Nova Scotia 1870c-1960c. Two years later, John Gerrish Pulsifer, led by Mi’kmaq guides Joe Paul, James Paul and Francis Paul, found gold in a quartz boulder in the same area of Mooseland. Pulsifer registered his gold find with the province, and thus kicked off the first of three gold rushes in Nova Scotia. Nova Scotia’s first gold rush, from 1861-1876, was a mad dash for riches. People left their lives behind and came in droves to search for gold. The 1871 federal census shows there were 568 miners working Nova Scotia’s gold districts but much of the mining was small-scale and low-tech (i.e. picks and shovels). It produced 208,942 ounces of gold but stores selling supplies to prospectors often made more money than the prospectors themselves. The first gold rush was chaotic and landowners asked the government for protection. 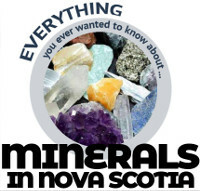 As Joseph Howe, Nova Scotia’s Provincial Secretary, put it in 2861: "In other Countries, the discovery of gold has attracted mixed multitudes to the mines, of which the reckless and dissolute have often formed a large proportion. Robbery, riot and murder, have characterized these mixed communities, both in California and Australia. 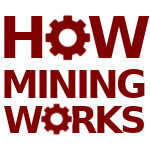 In Nova Scotia, Gold mining, like everything else, has developed itself in an orderly and law-abiding spirit." Our second gold rush, from 1882-1903, produced 497,842 ounces of gold as mining became more organized and professional. Gold mining companies were formed and claims by individuals decreased. Rather than breaking the rock apart by hand with a hammer, dynamite was introduced and used for blasting. Using mercury and cyanide to concentrate gold from ore and more efficient machinery further increased the gold yield. Nova Scotia’s third gold rush, from 1935-1943, produced 154,319 ounces. The stock market crash of 1929 and the Great Depression likely played a role in the onset of our third gold rush, as gold usually does well in times of recession. In contrast, gold production decreased sharply during both World Wars. 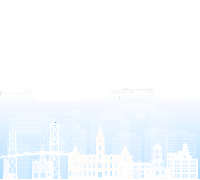 Modern gold mining in Nova Scotia is a sophisticated, high-tech business that takes proper care of the environment and provides excellent jobs for Nova Scotians. Two major new gold mines were opened on the province’s eastern shore in 2017 and a number of companies are currently doing gold exploration in the province. These projects have created hundreds of new jobs for Nova Scotians with more opportunities anticipated in coming years. In time, we may look back on this period as the start of a fourth Nova Scotia gold rush.  Like all types of mining, gold mining in Nova Scotia is stringently regulated to ensure the environment is properly protected. 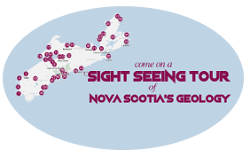 Gold in Nova Scotia is generally not found in nuggets; it is found in tiny flecks, often microscopically small. Because those flecks are usually within rock, it has to be separated from the rock using various processes. Cyanide leaching has been the main gold extraction technology since the 1970s because it is more effective, safer and has less environmental impact than other options, such as mercury. In Canada, more than 90% of mined gold is extracted from ore using cyanide. Cyanide leaching is usually done along with a physical process like milling, crushing, floatation and gravity separation. 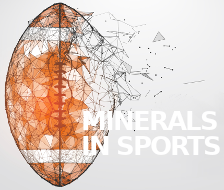 Mining operations use the smallest amount of cyanide necessary to extract gold effectively. This reduces cost and environmental concerns. Mining operations also recycle cyanide and remove it from tailings before tailings are released to a tailings management facility. 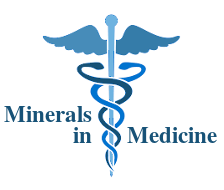 Any residual cyanide in tailings naturally photodegrades with exposure to air and sunlight. Cyanide is a naturally occurring chemical that is found throughout nature. At least 1000 species of plants, micro-organisms and insects are capable of producing cyanide. Foods such as coffee, almonds, lima beans and table salt all contain small amounts of naturally-occurring cyanide. In manufacturing, cyanide is used to make a wide range of products, including paper, textiles, plastics, electronics, fire retardants, airplane brakes, and paint. It is used in metallurgy for electroplating and metal cleaning. Cyanide is also used in vitamins (B12) and medications to treat ailments such as cancer and high blood pressure. Mining uses less than 20% of the global production of industrial cyanide. Cyanide does not persist in the environment and is quickly and naturally broken down when exposed to sunlight and air. The human body has a natural ability to detoxify small quantities of cyanide, so it generally poses little risk.